This spring, declutter your yard or garage by finally getting rid of that old junk car. At one point you planned to fix it up, but now you longer have the interest in spending time or money to get it running again. 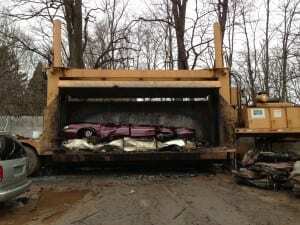 By selling it to Northside Salvage Yard, not only will you get rid of an eyesore, you will get some cash in your pocket and receive the most cash for your junk car in Rochester. Maybe you have a car that you have been driving for a while, but things have started to go wrong and you found out that the repairs will cost you much more than the car is worth. Don’t worry, Northside Salvage Yard will take it off your hands and pay you cash on the spot that you can use for another vehicle. Northside Salvage Yard pays cash 4 cars and we will pay you top dollar for your junk car or truck. You don’t even need keys or a title. We are the largest auto recycler in the Rochester area and you can rest assured that your vehicle will be properly recycled when you sell it to us. We have been in business for over fifty years and we pride ourselves on our excellent service. Our trucks are standing by and if you decide you want cash for your unwanted car, we offer same-day pickup. Best of all, we offer the best pay-outs for unwanted vehicles in the Rochester area. Our outstanding service and efficiency make the process extremely simple. You can either bring the car to us, or give us a call and we will come to you. We even offer free pickup. It has never been easier to get rid of an unwanted car for extra cash. Give Northside Salvage Yard a call today and turn that unwanted car into cold hard cash.